Our ancestors came to Kutch from Sindh Pakistan in 1634, upon invitation of King Rao Bharmal Ji – I, King of Kutch. The King alloted them a village called Dhamadka. 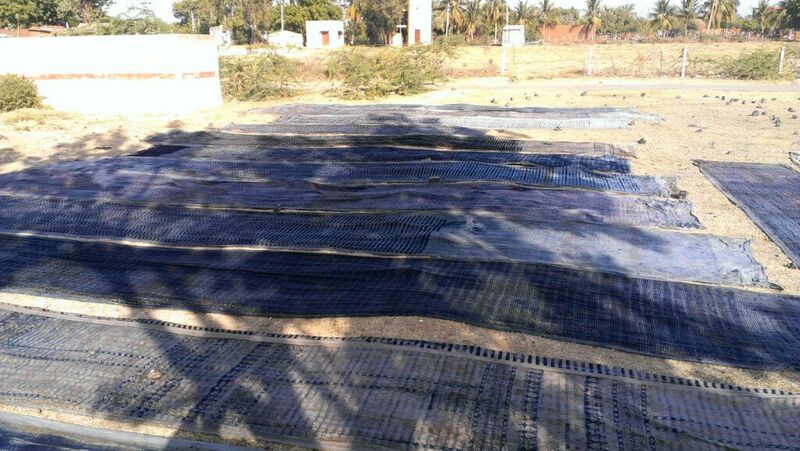 Our work requires lot of water for dyeing natural colors using indigo, madder etc. During the various stages of the Ajrakh making process we repeatedly need to wash the fabric. Therefore we were given a village on banks of the river, Saran Ganga. Also the environment was favorable to grow the indigo plant. The royal family as well as the local people were fascinated by various geometric patterns and the rich jewel like colors dyed by our ancestors. Khatri communities used to make very rich patterned bed-sheets for the royal families. 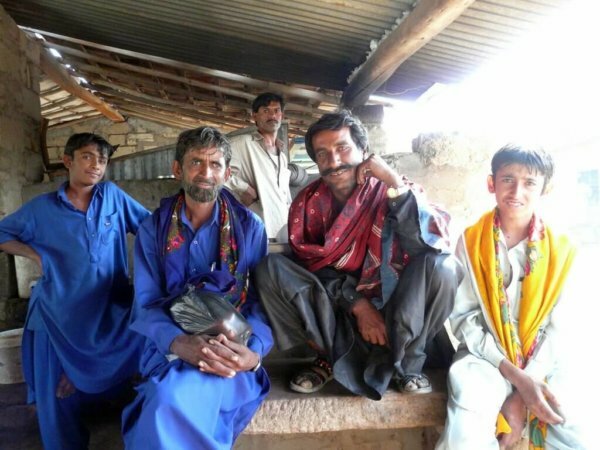 For the cattle herders the Khatri community used to make clothes, such as lungi’s, dupatta’s, turbans and shawls for the shoulder in Ajrakh style. It was also used as a cradle for babies. There was a different dress code for various communities, for men below 30 years old, men above 30 years old and for widows. Every colour tells a story and the design depicts the status. Ajrakh in Arabic means “blue” and in Kutchi and Persian it means “keep it today”. The stages are as follows: printing, resist dyeing, drying in the sun, then washing. This cycle is repeated again. The longer the fabric is kept in the sun for drying after every step, the better are the end results. 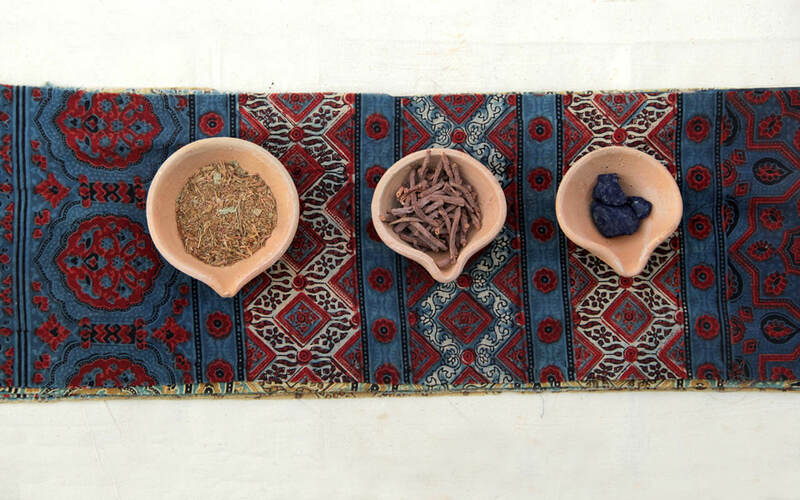 Traditionally, Ajrakh prints were only made with indigo, hence the name blue in Arabic. Slowly the craft started using more natural dyed colors like madder, tamarix flower (dhavdi flower), pomegranate, turmeric, and various roots. Until 1950’s, the economy of our community was quite stable as each of the family had certain fixed families as their patrons and were also part of a local economy chain. Around that time, Kutch got hit by one of the worst famine in its history. During this time, the growth of indigo and other natural dyeing plants were affected, also the river dried up. Hence it became impossible to work with natural dyes. In order to overcome the situation, the dyers started getting acquainted with chemical dyes. Unfortunately due to these harsh circumstances the original Ajrakh art form slowly got lost and local people started adopting to new life styles and dressing patterns. Therefore also the local economy chain got broken and many Khatris left their traditional family work, which they practiced for generations. My grandfather felt that the original centuries old traditional knowledge would get lost in a matter of years. So he was determined to make his son, my father Dr. Ismail Mohammad Khatri, an Ajrakh tradional pattern and natural dyeing expert, no matter how hard the conditions would be. Hence, my father adopted it as part of his work and revived the Ajrakh craft form. In the meantime the local market had become very small and we had to depend on external markets. In the same time the Gujarat State Government formed a corporation to provide economic stability to the crafts of Gujarat. The head of the corporation was very impressed with the Ajrakh patterns and felt that the designs could be refined for contemporary markets. He recommended our work to designers from the National Institute of Design. This started a new era of collaboration between designers and Ajrakh crafts. In 2001 our entire village was affected by a devastating earthquake. Then came an earthquake in 2001 which devastated the entire village. Almost all the houses collapsed and many people lost their lives. This changed the ecology of our village, as the underground water, saw very high amounts of iron content, making the water unsuitable for natural dyeing. We looked for a new place to settle where the water was suitable for dyeing. We finally ended up developing a new village named Ajrakhpur. 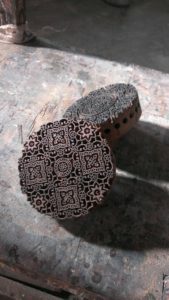 Again the Khatri community started working in natural dyes hand block printed Ajrakh techniques.